Wedding day coverage begins at $1500 and goes up depending on your needs. Click the button below to request a copy of my 2018 pricing guide. I look forward to chatting with you! The Engagement Session may be the first professional photos that you and your significant other will have together. My goal is to capture your love for each other in a beautiful and intimate way. These are the photographs that you will share with your grandchildren and generations to come. This is also a great opportunity for us to get to know each other before your wedding day! Engagement sessions are included in full day packages and may be added on to half day packages with a 20% discount. *All Weddings require a 25% retainer to hold your date, due at time of booking. Engagement sessions purchased alone require a $100 retainer due at time of booking. 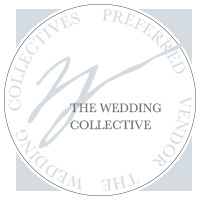 If you are planning a wedding in Southern Oregon, take a moment to check out The Wedding Collective. This is Southern Oregon's premier wedding planning resource, and I am proud to be a part of their preferred vendor's list!